Flavour-led weaning, as I now call it, developed as a result of weaning my daughter Aaliyah a few years back. Of course I didn't realise at the time that's what I was doing. The closest I could get to explaining it was referring to it as Indian Baby Food - weaning with aromatic flavours, herbs and spices. But actually, I was doing more than that. I wasn't only feeding my little one Indian food (those of you who have my first book 'Easy Indian Super Meals' will know this), I was feeding her a range of different cuisines - Spanish, Italian, British, but all with an aromatic-Indian twist based on my culinary heritage, to keep Aaliyah's palate as broad as possible, and to keep mealtimes fun and interesting. 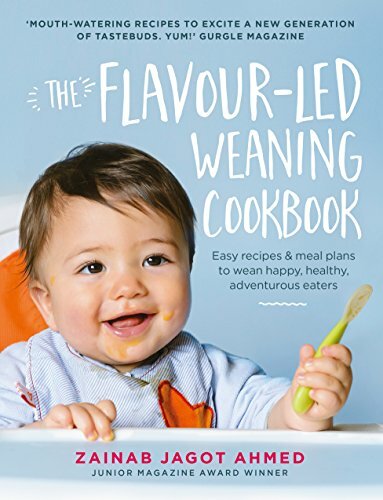 I developed flavoursome weaning recipes because the weaning books, websites, blogs and forums I was researching when I started Aaliyah's weaning journey were quite frankly, bland, boring and nothing like family meals I cooked at home. It seemed strange, to me, to wean her with meals that were completely unlike meals I would be feeding her in the future, and was convinced I would have a battle on my hands when I transitioned her over to our family meals – offering her flavours she had never tried before, and yet expecting her to eat them with no protest. 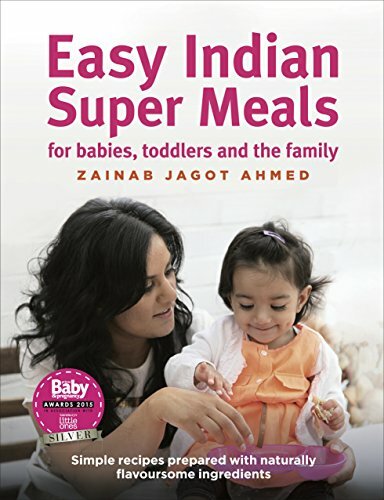 "To prepare baby for the big table using realistic flavours - flavours reflective of your personal home cooking"
The key here is to incorporate as many of these flavours as possible into your little one's diet, whether you are using a spoon-feeding or baby-led weaning method. As your little one grows, you can develop little palates further by introducing a combination of natural herbs and spices to encourage as many different tastes and flavours during the weaning process as possible. So the theory here, is that you're little one will have been exposed to flavours you regularly cook with, as well as ones you don't, to encourage a wide and varied diet. In my experience, there have been lots of benefits to following a flavour-led weaning approach, I am still reaping the rewards with my little one today! Aaliyah has developed a positive relationship with food so when I dish up a new meal, she's excited to try it... meaning she's not a fussy eater!!! [sigh of relief!]. I've been able to offer her a range of different foods resulting in a wonderful, well-balanced diet. She's been gobbling up plenty of vitamins and minerals required for health growth. The natural flavour enhancers - herbs and spices, potentially offer additional health benefits such as helping with immunity, indigestion, coughs and so on, all of which have been outlined in my book. Herbs and spices are also excellent alternatives to adding salt and sugar to meals to make them tasty. Finally, it was smooth sailing when I transitioned Aaliyah over to our family meals after 12 months. No complaints, just dived straight in, and it's been the same ever since. She does have the odd moment where she may poke something, but she knows the food is too yummy to say no to, so the protest doesn't last long. I can honestly say, the best thing I did was pre-empt the challenge I would face when weaning Aaliyah from bland meals, to my family meals. Changing the way I weaned her not only made our weaning journey more enjoyable and fun, it also prepared Aaliyah's palate for future meals to come, reducing fussy eating from developing. Try some of my flavour-filled weaning recipes your little one will gobble up here.